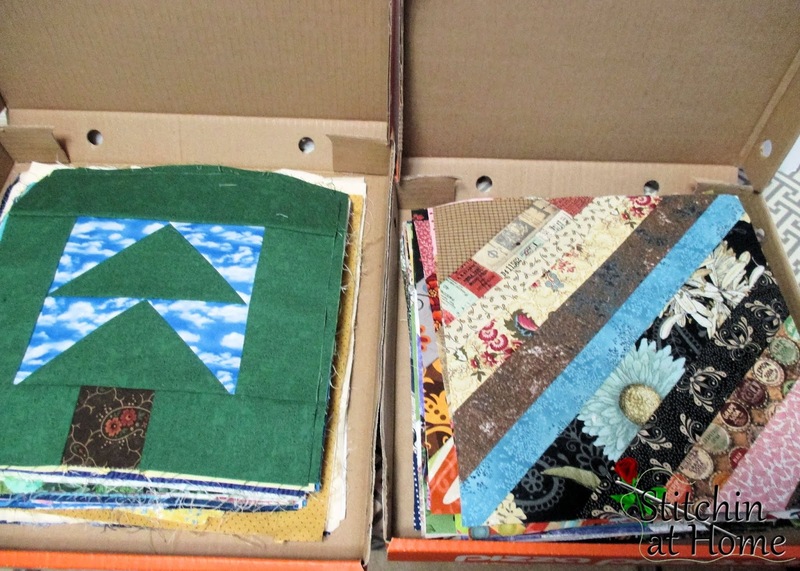 For my guilds comfort quilt program we have been making monthly block challenges. The members seem to enjoy this. All the blocks we make are 10''. I am the keeper of the challenge blocks. They are kept in 'official' block storage containers. I'm sure you can tell by the above picture how the blocks are stored. If not look below. Sometimes keeping the lids closed is a bit of a problem. But transporting them to meetings is easy. My guild meets in the morning. After the meeting some of the members stay and sew. We have put together quite a few tops from the various challenge blocks. Some members will take a top home if it isn't finished during sew time and finish them up. I pulled the black and white blocks that were made in the fall. 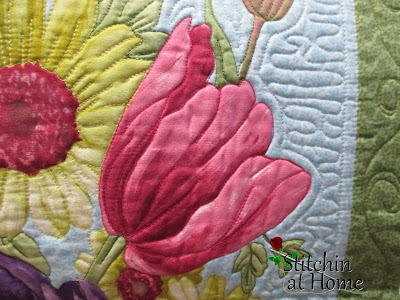 I found a nice black print with red flowers to use for sashing and borders, the corner stones are black. The second quilt I worked on was a panel. I added a couple borders. 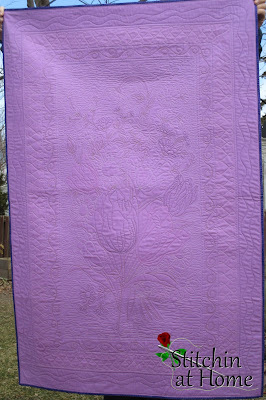 This one I quilted and bound. A few pictures follow. It was a pretty panel. A closeup of one of the flowers. A picture of the back. 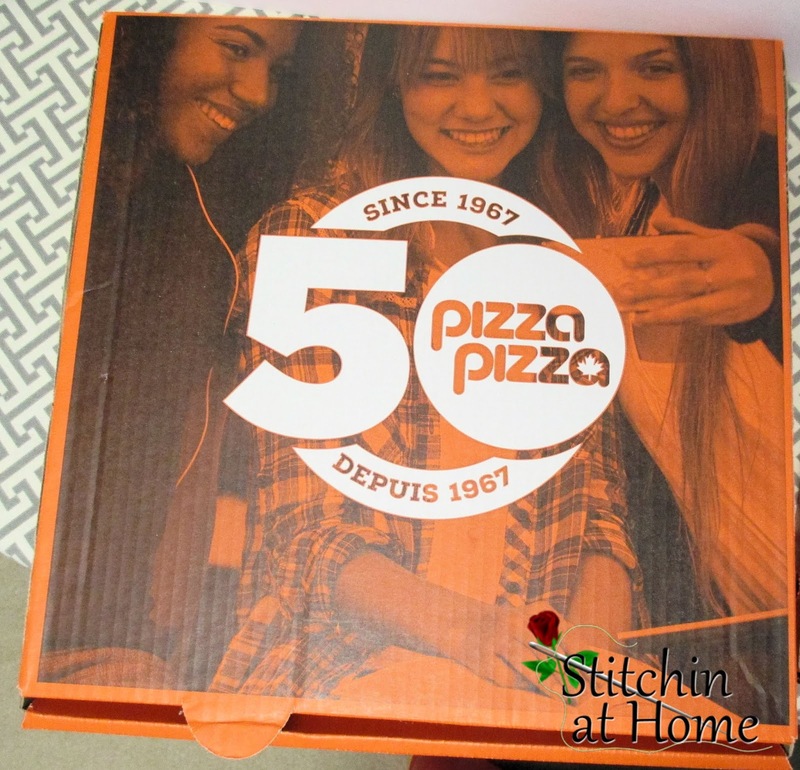 Do you get fresh pizza boxes (aka unused ones) for the storage to use? If so, how do you source them? What a clever solution! I have heard of pizza box storage but I've never used it myself. I bet you can fix quite a few blocks in there and it wouldn't take up much space. The panel quilt is beautiful! I love the storage!! So do you have a specific block each month? Or does everyone just make a 10 inch block of their choice? Is there a colour scheme? 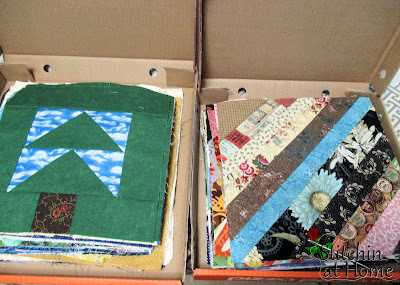 I'm interested in different options for our guild to make quilts. I was admiring the black and white quilt, then I saw the quilting on the back of the panel. Outstanding! Great idea for the pizza boxes. Only I would probably upend them all over the drive! Please tell me those boxes are untouched by pizza!!! Love love love the stark simplicity of the black and white blocks. So impressive. The red in the black matches your rose logo!!! Have a great weekend. Read this on my phone, where I still am locked out...first I can't believe people actually think we'd use used pizza boxes?? Like come on people...I've used them a lot too; still have parts for a kaleidoscope wallhanging in one, ha! They stack together so very well, don't they? 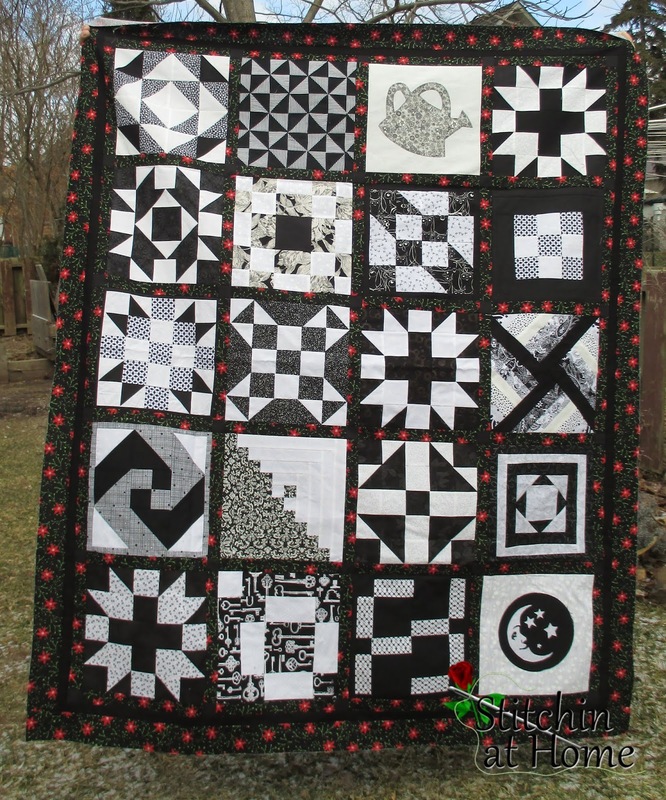 Second, I just love that black and white quilt you did, and the beautiful quilting on the panel (which is a gorgeous one too). I like to browse your blog very much. Your blog is really great! I am very happy that you share such things. It's nice that you do it. Do not stop doing this. 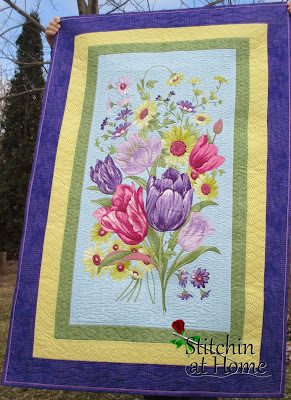 Beautiful patterns of fabric colors.